On Wednesday and Thursday of this week, a special family is coming to Winterset to tour the old stomping grounds of their ancestors, one of which has become quite well known for his life’s work and accomplishments. Library Director Nancy Trask, who has been corresponding with Leslie Marks for some time, is looking forward to finally meeting her in person. Leslie Marks Stout is the granddaughter of George Stout, and she will be visiting this week with her husband, her sons and daughter, and her new daughter-in-law. 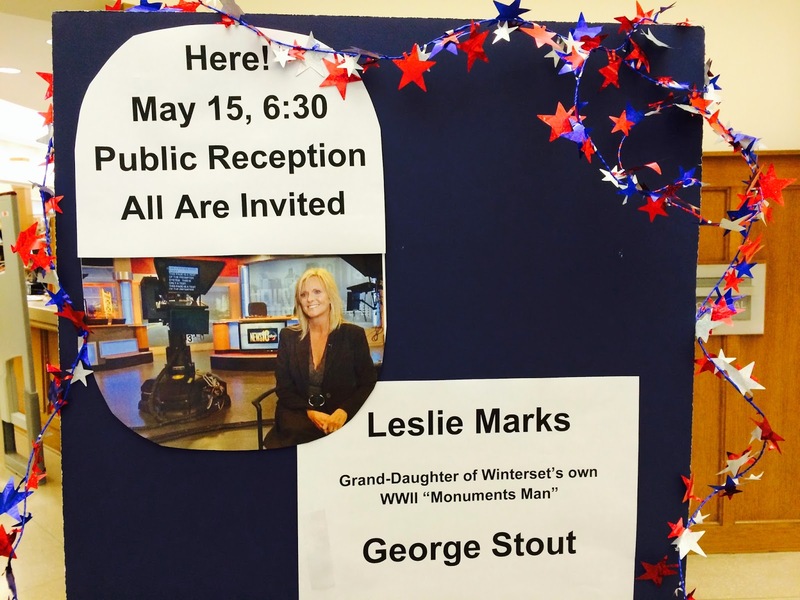 Ms. Marks’ grandfather, George Leslie Stout of Winterset (1897-1978), was portrayed by George Clooney in the movie “Monuments Men,” based on the book by the same name. As the Monuments Men Official Site explains, “The Monuments Men were a group of men and women from thirteen nations, most of whom volunteered for service in the newly created Monuments, Fine Arts, and Archives section, or MFAA… Their job description was simple: to save as much of the culture of Europe as they could during combat [in World War II].” In other words, George Stout was a leader within a group that worked to investigate, protect, and recover works of art that were plundered by the Nazis and hidden away all over Europe, a story that has only recently come to be understood for the enormous and dangerous undertaking that it was. 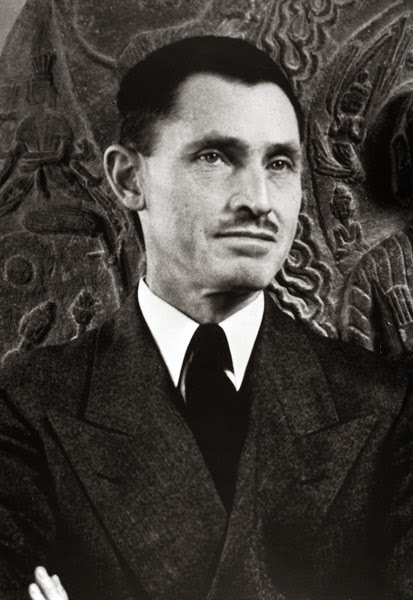 His knowledge of art preservation and curation came from his time at the University of Iowa, after high school graduation and military service, where he studied art and was the editor of the well known paper The Daily Iowan, and his subsequent graduate degree from Harvard. Prior to all that, however, he lived and attended school right here in Winterset, Iowa, where his father Abraham Lincoln Stout was an Alderman, served on the school board, and was active in the Church of Christ (now First Christian Church). George was about eight years old when the old Carnegie library was built in 1905. He was the quarterback on the football team at WHS, and he participated in music programs too. Overall, the family was very involved in daily life in Winterset. 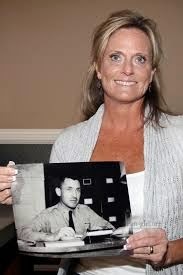 Stout’s Granddaughter, Leslie Marks, has been on an extended road trip from her home in California to Vermont, and is now making her way back with her family. Since she has been in contact with Nancy Trask for some time, at least since the beginning of the movie project, she and her family decided to make Winterset a stop along the way home. Nancy is hoping to show them the major sites, such as the historical museum, the John Wayne Birthplace, and the covered bridges, as well as graves of the Stout ancestors in the Winterset cemetery. George’s mother and father, “Lulu” McBride Stout and Abraham Lincoln (A.L.) Stout, are buried there toward the northwest end, as well as George’s younger brother, Robert, and his grandfather, who is buried in the Civil War section. On Thursday evening, May 15th at 6:30, the public is invited to a reception at the Winterset Library to honor their visit. Nancy will give introductions, Mayor Olson will give a proclamation, and there will be time for questions and answers with the family. Your attendance and warm welcome would be appreciated! Backing up just a little to this evening, there is a high school vocal concert this evening at 7:00 p.m. in the auditorium, and end-of-the-year activities for seniors are underway starting Wednesday evening at 6:00 with the traditional Senior Night dinner and awards ceremony. Graduation is this Sunday at 2:30. 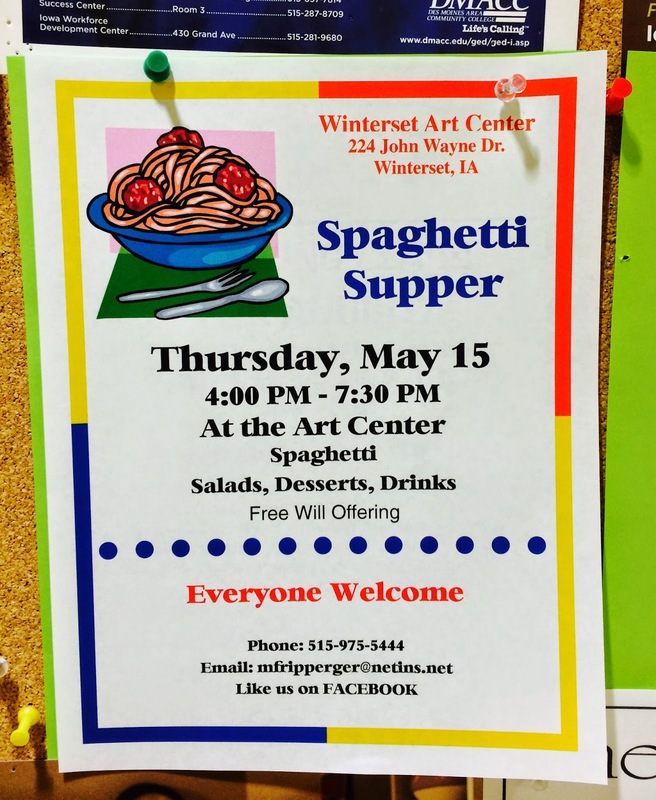 And on Thursday night, in addition to the reception for Leslie Marks and her family, the public is invited to the annual Spaghetti Supper at the Art Center from 4:00 to 7:30. Plenty of time to go before or after. Make an evening of it! Thanks for reading The Winterset Citizen, and have a great week. 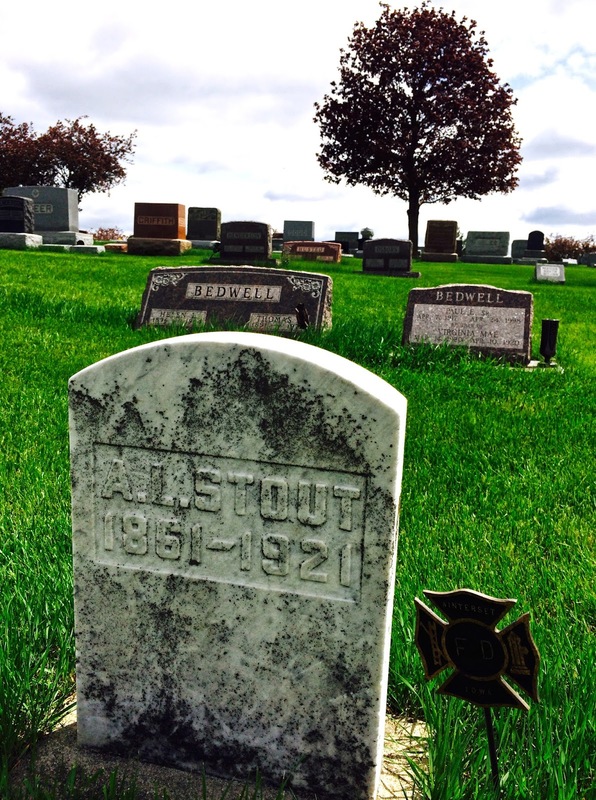 The gravestone of George Stout’s father, Abraham Lincoln Stout, in the Winterset Cemetery.